If you caught my recent post, you'll know that our feet are well and truly on British soil again now, quite muddy and wet soil if I'm honest. We had such a lovely time and it was more than needed, me and John haven't had any real time away together since we had two children, even before Patrick was born we'd only had an odd night here or there in the whole three years. Without the everyday stresses of work, children and household chores it was very relaxing and I thoroughly recommend it to any couple. Of course we missed the boys, that much is obvious but I had certainly missed full nights of sleep, laying in till silly o'clock and not arguing over who's turn it was to wake up with the boys. We didn't venture too far, just to my parents villa in southern Spain. It was lovely. Sun, sea and cocktails were aplenty and with no children around to keep us on our toes we spent our days lounging around the pool, tucking into tapas and generally doing whatever we felt like, whenever we felt like we wanted too. Life without children is easy, if you want to go to the shop just hop in the car and you're gone. The beach? No problem, grab your towel and away you go. No worries about how many changes of clothes, nappies and wipes you might need, no extra snacks and drinks to pack away, all of those really mundane tasks that we get so accustomed to as parents, were forgotten about. Bliss. In hindsight I wonder how much of our trip we spent talking about the boys, wondering what they were doing and even talking through things they would probably be up to at specific points of the day. It's a parent thing right? Children become your life as soon as they enter it, your whole world shifts and centres around them so it can be a little hard adjusting whilst they're out of the picture for a few days. It's like your little ones first day at nursery all over again. Of course though, the grass is always greener and after a few days home, I'm wondering if we'll get a similar escape again next year. Though my mother has firmly shut the door on the idea of having Patrick for even a moment overnight again, I think saying he was a pain for her is a bit of an understatement. It's had me thinking, would we do the same again next year? My parents villa is great, it has all we want and more, it's own pool, a stones throw away from the beach and a variety of bars and restaurants but perhaps we should be using these little time slots each year to venture somewhere completely new? 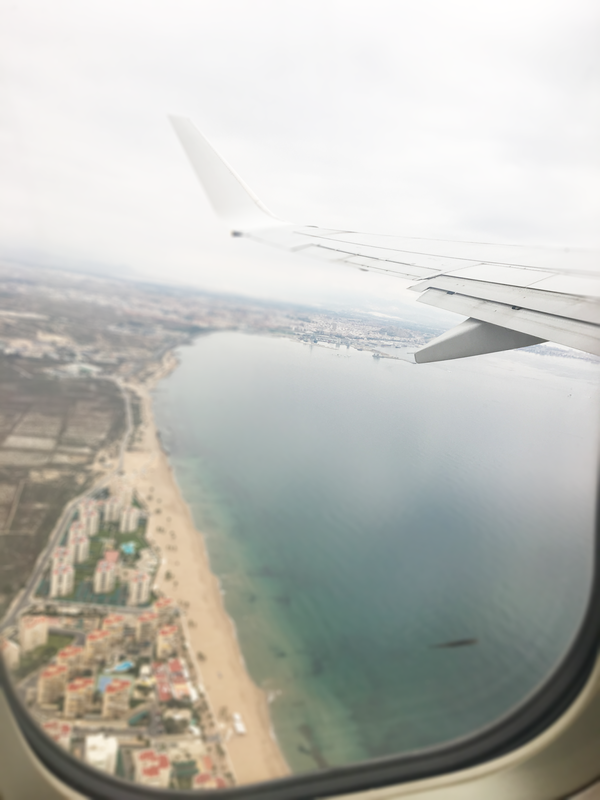 I love holidaying in Spain, it's short haul which means you don't have to entertain jet lag, it's quite heavily populated with expats and tourists which means you do get the home-away-from-home vibe. But, my head definitely tells me we should head somewhere that would be a little trickier if we have the children in tow, to be fully taking advantage of our child free time. I guess we'll have to throw the idea around if I can persuade my Mum (or anyone) to watch the boys for us again next year. Me and John really did have the best time, it was a very peaceful break and everything felt incredibly slow paced which was just lovely. Life is fast with children, even when you feel as though the minutes tick by like hours, life is still fast. One moment it's summer and it's as though I've blinked and we're hitting New Year. Our next break to look forward too will be our family holiday next year, no doubt to the villa for all of the above reasons. Patrick will be almost two and Noah shall be four, our last big holiday before he begins full time school in September.